Genene Jones is a former nurse who made international headlines over 30 years ago as the suspected serial killer of more than a dozen infants in the pediatric intensive care unit of a hospital in San Antonio, and she’s scheduled to be released from prison in March 2018. Dubbed the Angel of Death, Jones was convicted of a murder at a clinic in the nearby town of Kerrville, Texas, and as ProPublica reports, although none of the San Antonio parents who lost children got the justice they deserved, they had the knowledge that she was serving a 99-year sentence and would be in jail for the rest of her life. In a cruel twist of fate, an effort by the state of Texas a few years ago to reduce prison overcrowding gave Jones “outsized credit for good behavior,” and a release date of March 2018. According to ProPublica, prosecutors hoping to keep Jones locked up launched a secret investigation into a cold case to see if they could bring a new murder charge against her. 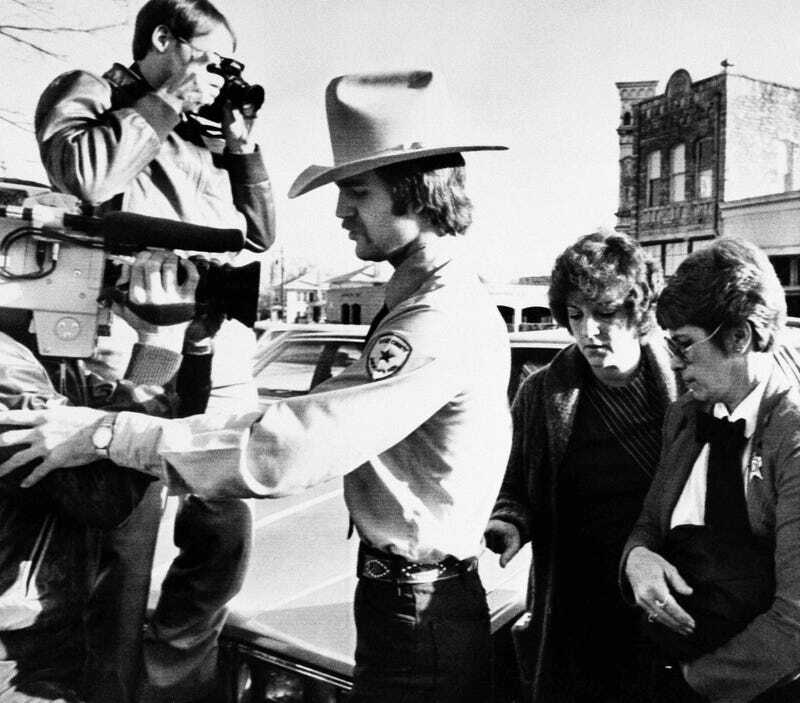 Their plan paid off, and on Thursday, the now 66-year-old was indicted by a grand jury on murder charges in the Dec. 12, 1981, death of 11-month-old Joshua Sawyer, allegedly with a lethal dose of the sedative Dilantin. Immediately after indicting her, the grand jury set a bond of $1 million, which ProPublica notes might be substantial enough to keep her in prison until the new case goes to trial, even if that occurs after her scheduled release in March 2018. Getting to this point wasn’t easy either: It involved a grizzled criminal investigator who wouldn’t give up; a young prosecutor who was shocked to hear about Jones for the first time; and a mom who clung to her dead child’s medical chart for three decades. While the legal prospects for the case are uncertain, it’s clear that the prosecution will rekindle painful memories for the families who have spent decades mourning their lost children. “I’m scared,’’ said one sobbing mother as she prepared Thursday to deliver her testimony before the San Antonio grand jury. ProPublica reports that Jones has always maintained her innocence; she never testified at her original trial or at a second trial for injury to a child that resulted in her receiving a 60-year sentence that was to be served concurrently with the 99-year sentence. She has instructed prison officials to decline all interview requests.